Allow another person to be able to handle any and all automobile, vehicle, or vessel related affairs on your behalf. This includes, title, registration, and any other acts authorized by the principal. And all the signatures of the person’s involved. 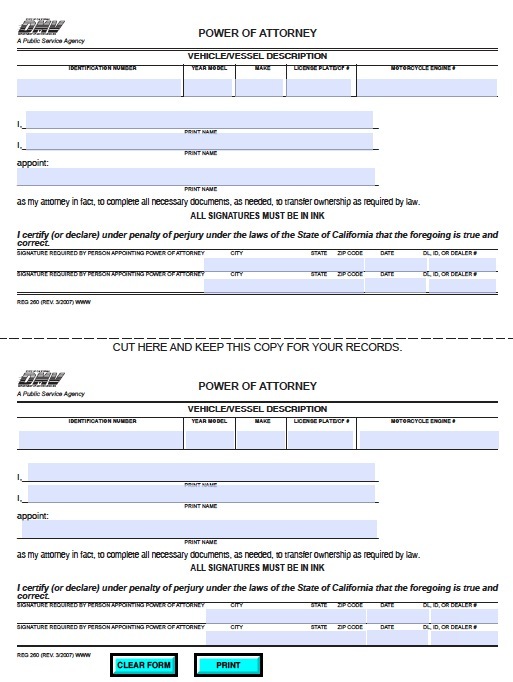 Does not need to be witnessed or notarized.